Last summer, like the scattered showers that unpredictably color a July afternoon, Bethany Cosentino and Bobb Bruno, better known as Best Coast, drizzled a handful of noisy love songs upon the Internet — each one adding a few minutes to the season’s soundtrack. The songs were lo-fi and reverbed to the point of distortion but, with Cosentino’s disarmingly sweet voice, proved to be an essential summer combination. Nevertheless, with every addictive melody chugging along at a similar mid-tempo, repeat plays made overdose inevitable. 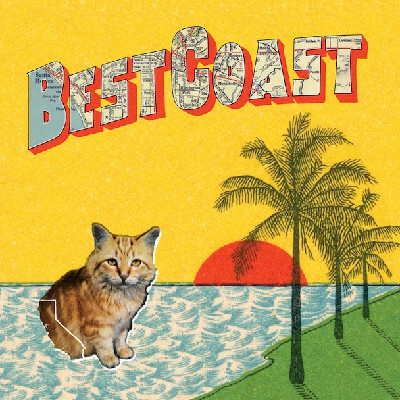 The songwriting on Crazy for You, Best Coast’s full-length debut, is more diverse and assertive than on the band’s early singles, making those songs sound like rough demos of half-baked ideas. The noise here has been turned down, morphed into a vibrant haze that surrounds and buoys Cosentino’s voice in a real ’60s-girl-group style. Songs wobble between the Jesus-and-Mary-Chain drum-n-fuzz of “Honey” to the up-tempo indie-pop of “The End” — and though there’s still plenty of reverb, it sounds like Cosentino’s the one controlling it, not the other way around. Even when she’s saying nothing at all, just oohing along with the music, it’s still great to hear her sing.